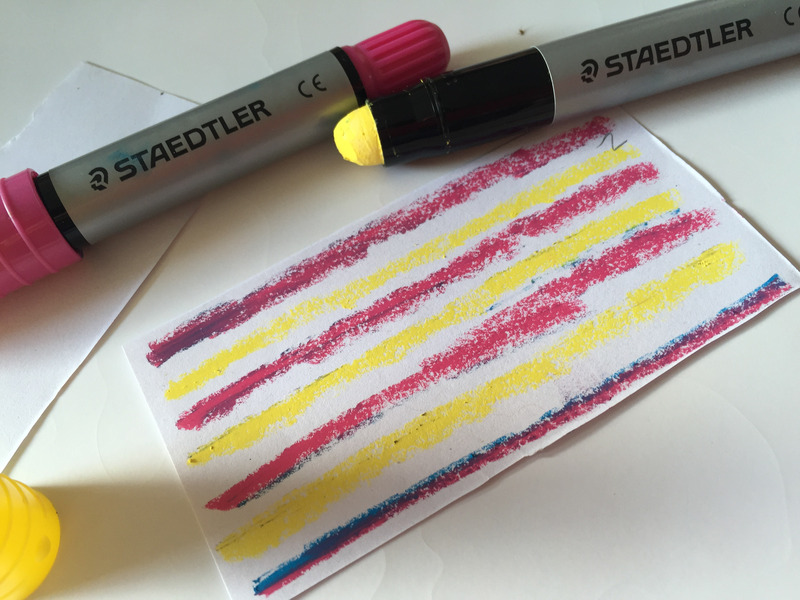 Every week during the school holidays Staedtler are setting a crafty challenge and the winner will become the next member of the Try-it Tribe. More information can be found on their Facebook here. This weeks challenge is to create a game which can be played whatever the weather. 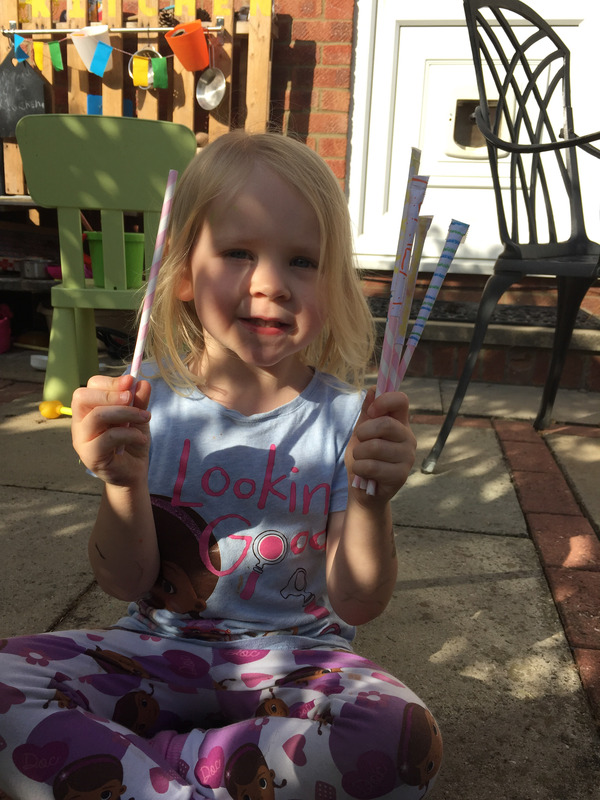 As a member of the Try-it Tribe we were sent a bundle of craft supplies and had great fun making straw rockets. Cut your paper into rectangles at least 3 x 5 inches. We cut 6 for my son and 6 for my daughter, then they decorated then using the colourful gel crayon pens from Staedtler. 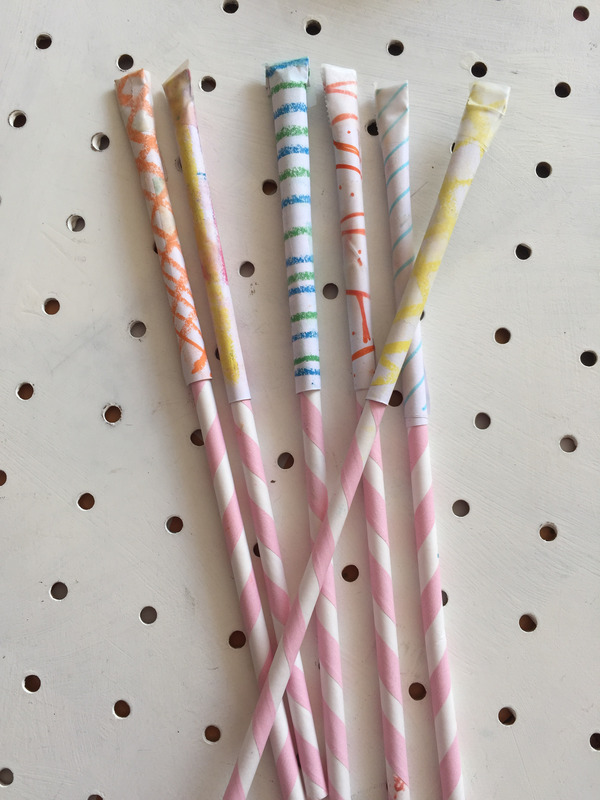 To make the straw rocket you place your piece of paper under the top of the straw and wrap around loosely, hold in place with tape. Fold over the top and hold in place with more tape. When you’ve made your straw rockets you can use them to challenge each other to see who can make them fly furthest. 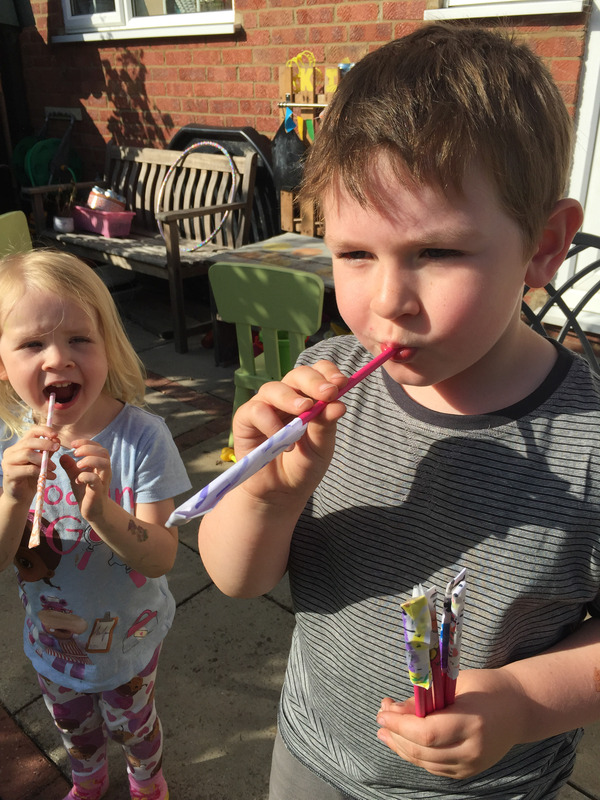 I got both my children to stand at the edge of the patio and blew down the straw to make the rocket part fly off. They had great fun seeing who could make their straw rocket fly. 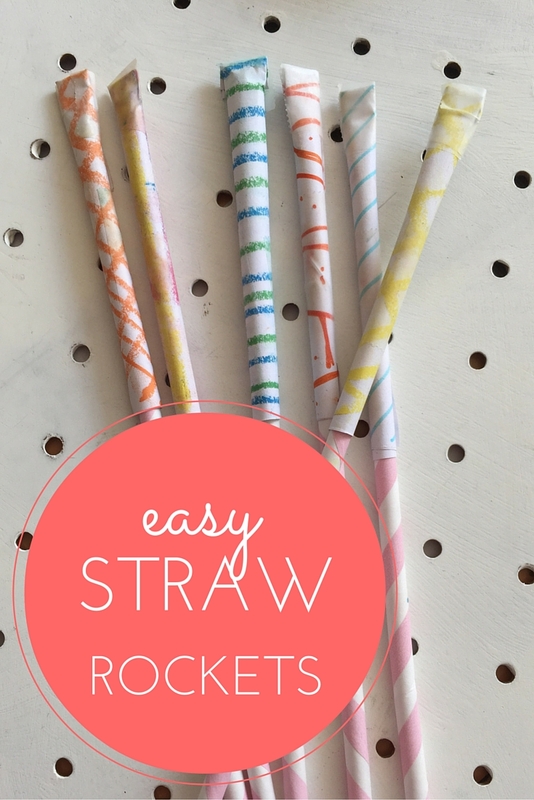 They are easy to pop back on the straw and have another try. You can play this inside too, try making a target or given them a container to aim at!